There’s tons of cool modpacks that you can play in Minecraft, but you might be wondering: What is the best modpack to play in 2019? Every modpack has different objectives and gameplay. For example, in a skyblock pack there is no land in the game and you have to build on a floating island. As you can tell, the pack you pick is very important and will determine the type of game you play. The “Feed The Beast” (FTB) modpacks are the most popular and are a lot of fun. The easiest and best way to install FTB modpacks is to use the Twitch App. The Twitch App is very simple to use. You simply navigate to Minecraft and pick the modpack you want out of a big list and it automatically installs it for you. Each modpack runs on different versions of Minecraft (for example, 1.7, 1.10, 1.12, etc). This is because every mod supports only certain versions of the game. The version that the pack runs on will partly determine the mods that are included. SkyFactory 3 (SF3) is definitely one of the most fun modpacks you can play in Minecraft. It is skyblock on steroids, and from the name you can probably guess what you will be doing. Building a factory in the sky of course! You will start on a small chunk of land with a tree, which is standard for all skyblock maps. Next, you’ll have to progress through the pack to expand your island and obtain all the other items in the game. The progression will take you from sifting dirt to get your first cobblestones, melting cobblestone into lava, and making a mob farm. Afterwards, the end game will include getting the best Draconic Evolution items, massive energy farms, computer storage, and growing nearly every item in the game with Mystical Agriculture. SkyFactory 3 is definitely worth checking out if you want to play a Minecraft modpack in 2019. Stoneblock 2 (SB2) is similar to skyblock or SkyFactory 3, but instead of building in the sky you are building underground. The entire map is filled with stone and you have to dig out your base. It can be annoying mining the stone in the beginning, but once you get an RFTools Builder it gets much easier to dig out massive amounts of stone. This pack makes use of the Project E mod, which can be somewhat overpowered as it lets you trade most items for other items (using the EMC system). For example, you can exchange 100 stone for 100 EMC, then use this EMC to purchase other items like diamonds or iron. Once you accumulate a lot of EMC, the game feels a bit like creative mode since you can instantly obtain nearly all items in the game. However, the EMC system can be nice because it allows you to trade your “junk” for EMC and buy more valuable things like diamonds. 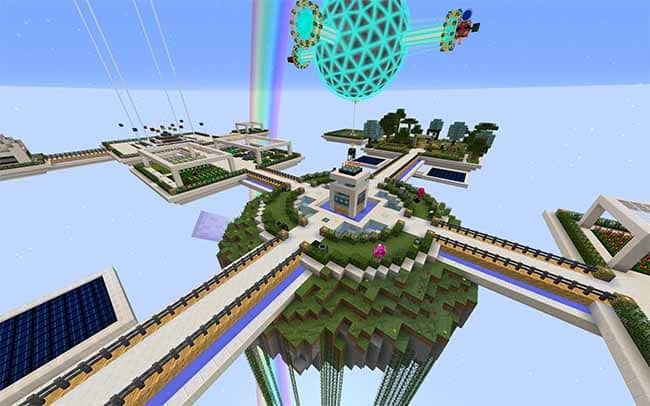 A very cool idea for a base in this game is to use the Builder to hollow out a big dome, then use the luminous blocks to make a fake sky, clouds, and sun. If you’re asking yourself Which Minecraft modpack should I play in 2019, I highly recommend checking out Stoneblock 2. FTB Infinity Evolved (IE) is a “kitchen sink” modpack, meaning it is a general all-purpose modpack that can facilitate many gameplay styles. 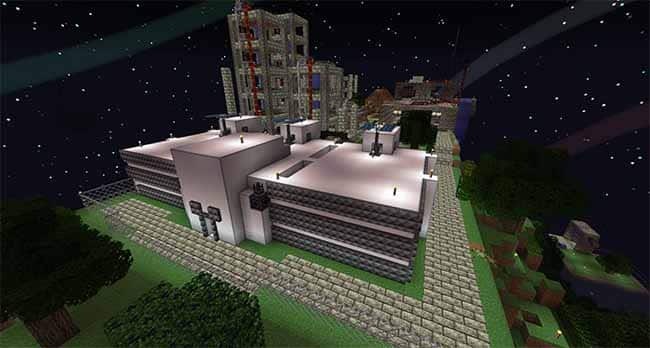 It has most of the popular Minecraft mods and two difficulty modes: normal and expert. Infinity Evolved Expert Mode is a way to prolong gameplay by making recipes more difficult. You will need way more blocks and items to craft things, which makes the pack take longer to progress through. If you find you’re finishing modpacks too quickly, you should definitely look into IE expert mode. This pack is best if you want more freedom to do whatever you want. For example, with the SkyFactory 3 modpack, you have to build a floating island base and there is no other choice. With this pack, there are so many cool things you can build in Minecraft (that aren’t floating island bases). Regrowth is a themed pack with set objectives. The general theme is that you start in a wasteland world and you have to progress to “regrow” the world back. Progression in this pack is definitely a bit slower and the mobs can be stronger, so this pack can be more challenging to play through. Project Ozone 2 (PO2) is another skyblock-like map that incorporates different recipe difficulties (like the infinity evolved pack). There’s normal mode, titan mode, and kappa mode, each progressively more difficult. There’s also different map types to try, including Skylands, Garden of Glass, Frozen, etc. I personally prefer SF3 for skyblock, but if you want a more challenging version of skyblock try out PO2. Agrarian Skies 2 (AS2) is a quest and objective based skyblock. If you are brand new to Minecraft mods, this pack would be great to learn the basics. The quest book will guide you through the progression step by step. A major difference between this pack and SF3 is that there is no Mystical Agriculture mod. That makes this pack a bit more difficult and less overpowered. With Mystical Agriculture in SF3, you can “grow” nearly all items in the game, including diamonds, obsidian, wither skeleton skulls, etc. In this pack, you will have to do it the old fashioned way and get your diamonds from sifting and obsidian from lava and water. Revelation is another “kitchen sink” pack, similar to the Infinity Evolved pack. This is a newer pack which runs on the 1.12 version of the game (whereas infinity evolved runs on 1.7), so the mods will be different. It includes newer mods that might not have been around when Infinity Evolved was made, and doesn’t include older mods that were not updated for the 1.12 version. It is the largest modpack made by FTB, with over 200 mods included. You may need a more powerful computer to fully enjoy this pack and all the mods it offers. This pack is good if you’re looking for an all-purpose pack that doesn’t have limitations on what you can do. However, if you’re new to modding, the 200 mods may be overwhelming and make it difficult to learn how to play. Farming Valley is a modpack inspired by Harvest Moon and Stardew Valley. If you’ve played either of these games and liked them, definitely check out the Farming Valley Minecraft modpack. In this pack, you will build up a town and plant/harvest/sell crops for money to progress. Farming in this pack is tweaked and will be more challenging than in vanilla Minecraft. The Harvest Goddess NPC (which you have to summon at the beginning) will guide you through progression in this pack. DireWolf20 is a popular YouTuber and this pack is essentially a collection of the mods used in his videos. It is another general all-purpose kitchen sink pack that has gotten quite popular. A benefit of playing with this pack is you can watch his videos, play along, and learn the mods. Sky Adventures is another skyblock map that is similar to SkyFactory 3, but it is newer and runs on 1.12 (whereas SF3 is 1.10). Since it runs on a different version, there will be slight differences in the mods. One major difference is that this pack has the Project E mod (like Stone Block 2). This mod allows you to trade items for other items using a currency called EMC. Forever Stranded (FS) is kind of similar to the Regrowth pack in that you play in a “wasteland” kind of map. You start in a crashed plane and have to quickly defend yourself because the mobs at night are much more challenging than in normal Minecraft. FTB Beyond is another kitchen sink general purpose modpack that runs on the 1.10 version of Minecraft. It’ll have slightly different mods than Revelation and Direwolf20 (which run on 1.12) and Infinity Evolved (which runs on 1.7). SevTech: Ages is a newer modpack based on 1.12 and it is heavily progression based. Content is gated into different “ages” and you must progress through each age to unlock content. New recipes become available, new mobs appear, and new ores appear as you advance ages. This pack is not your typical “kitchen sink” modpack and it is quite unique from the other packs.